At Jeffs & Jeffs, P.C., we are here to assist clients with many different types of legal matters from business law to real estate law in Provo, Utah County or throughout the state of Utah. Regardless of what issue is interfering with your life or business, we are here to offer you personalized support and trustworthy advice. 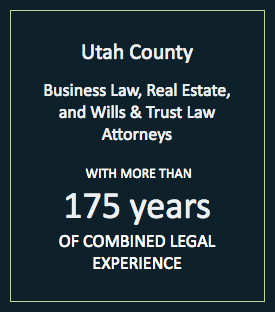 Since 1957, our dedicated attorneys have worked diligently to counsel residents of Utah County. We seek to form lasting relationships with our clients so that we may continue to offer them guidance over the years. Business Law: Our attorneys in Provo can help you to manage your business as efficiently and cost-effectively as possible. Additionally, we can assist you with any disputes that may arise. Contract Law: Contract disputes can cripple businesses or prevent real estate transactions from occurring. As experienced attorneys, we have a deep understanding of contract law and can provide you with unrivalled legal support. Estate Planning: We handle estate planning matters with the highest level of skill and understanding. Our lawyers proudly assist clients with wills and trusts, probate, powers of attorney and every aspect of estate planning law. Real Estate: Prior to buying or selling a piece of real estate, you should always consult with a reputable law firm. Our skilled attorneys have extensive experience assisting clients with various real estate law matters. Personal Injury: The attorneys of Jeffs & Jeffs, P.C. 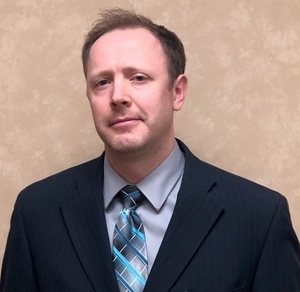 have extensive experience in all aspects of personal injury matters including auto accidents, medical malpractice, automobile accidents and products liability. The professional and respected attorneys of Jeffs & Jeffs, P.C. obtain favorable verdicts and settlements for their clients in mediations, arbitrations and litigation in all of the Utah State and Federal Courts. Family Law: We provide personalized and experienced assistance to help you navigate through all family law matters, including: divorces, annulments, custody matters, child support and alimony, adoption, termination of parent rights, prenuptial planning, and domestic of dating violence. Criminal Defense: At Jeffs & Jeffs, P.C., our attorneys bring a wealth of experience successfully representing defendants charged with criminal offenses (DUI’s, drug charges, misdemeanors, felonies, post-conviction relief, felonies, etc.) to help chart a course through the challenges faced in difficult circumstances. Probate Litigation: After a loved one dies, the last thing that you want to do is to argue over resolution of their estate. Let us help you navigate the associated legal issues. Our combined estate planning and litigation experience results in our adept and skilled assistance through these emotional matters. We are committed to providing you with the highest level of legal service at all times. Additionally, we recognize that some legal issues can cause stress and frustration. That is why we offer our clients personalized guidance. Let our respected and well-known law firm offer you reliable counsel for whatever legal concern you face. Jeffs & Jeffs, P.C. was established for the sole purpose of helping people solve their legal problems. If you require experienced legal counsel, please contact us today by phone at 801-373-8848 or via our online form. We have flexible hours, free parking and are located two blocks from the Provo courthouse and one block from the new Latter-Day Saints Historic Provo Temple.